Natural supplements that include Garcinia Cambogia have become widely popularized in recent years because of their ability to help curb hunger and discourage the development of fat cells. Men and women all over the world are claiming that it is able to help them manage weight and get healthy. But, one question that many interested users likely have is whether or not Garcinia Cambogia is safe for individuals that are diabetics? And, it is important to understand why this supplement may or may not be appropriate for you before you consume it or start any free trial program. However, you want to keep in mind that not all of these benefits have been clinically proven, yet many people claim to see these positive benefits from Garcinia Cambogia supplements. With that being said, many of these benefits certainly appeal to diabetic patients who want to control their blood-glucose levels in conjunction with their doctor prescribed treatments. Some research has also suggested that weight management is not the only benefit of taking this type of supplement for an individual. Because decreased weight can help to reduce one’s blood pressure and sugar levels, it can only be assumed that simply by losing weight with Garcinia Cambogia it can benefit a diabetic, or anyone who has problems with blood-glucose levels. Additionally, because research indicates that Garcinia Cambogia also seems to reduce the rate at which glucose is absorbed into the intestines after eating it can help to decrease blood-sugar levels. 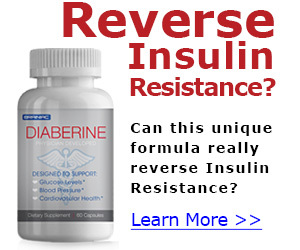 This is an indication that this particular supplement can improve glucose metabolism, which is often a goal that is associated with patients who have diabetes ad are attempting to get it under control. Yet, there have also been findings in diabetics with controlled blood glucose levels that show that their blood-sugar levels can actually drop too low when their treatment is combined with Garcinia Cambogia supplements. The results of all studies surrounding the relation between diabetes and Garcinia Cambogia are inconclusive, making it difficult to recommend it to individuals with diabetes, especially for those who are taking insulin or medications to control their levels. The short answer, as to whether or not Garcinia Cambogia is safe for individuals with diabetes is – researchers are unsure. If you are diabetic and considering taking any type of supplement that contains Garcinia Cambogia, you want to be sure that you consult with your primary care doctor first, before taking a single pill. Your doctor can help you to determine if it is safe to be mixing these supplements with any other type of medications you might be taking to keep your blood sugar levels under control. So is it or not safe for me? I take metformin 1000mg a day. I’m type 2 diabetic. NO. Garcinia stops glucose from being absorbed into your blood stream. This will cause your blood glucose to drop DRAMATICALLY, and because it decreases appetite, you will have no urge to eat. My mother is on 1000mg of metformin a day, and on insulin. I found her comatose on the couch after taking her first dose of Garcinia. Hi Mary! Iam a type 2 diabetic too and would want to try this as well. Have you tried taking it? I’ve just been diagnosed with high blood sugar but not high enough to have to take medication. I’m looking for herbal supplements, etc, that will naturally help lower my blood sugar so I won’t have to take medication. Will this work for me? My husband was pre-diabetic, but after taking garcinia cambogia for a time, he became full diabetic. I had my blood pressure under control and was trying to reduce my level of medication. After taking garcinia cambogia for a while, my blood pressure shot out of control. It might be great for some people, but be careful. Watch your symptoms. How about for type 1 diabetics? I’m on novorapid and lantus and my bsl is good and under control. I also take metformin 1000 mg and high blood pressure meds but i dont take them like i should and my sugars are high around the 200’s and 300’s and I’ve tried everything to lose weight and it just seems like i can’t besides this i haven’t tried but from what i heard metformin also helps you loseweight but idk. I just want to try this. Hmm… I’m really nervous about taking this, I ordered some already but I mean everyone is different I’m type 2 and control my bsl with monitoring and diet and exercise … Hmmm very iffy! I just wish there were a better way… I will just talk with my doctor! I tried it and I take medformin 500mg and two other kind to help control my blood pressure and blood sugars i took garcinia the first day and it made me nauseated tried it for three days had to stop so good luck with that.